The reason why moving type is so loved by designers is that it provides endless creative possibilities, it’s eye-catching and it can convey powerful messages. Animated typography, or kinetic typography, refers to any kind of moving text, be that text that moves slowly, expands, shrinks, or morphs into something else. To convey an emotion-filled message. It also has the potential to catch a viewer’s attention and impact him in a big way. 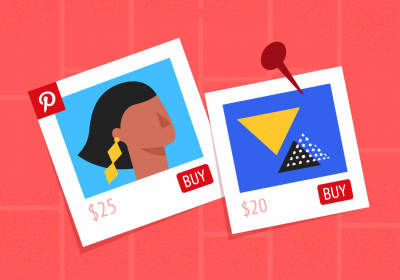 And now, I invite you to go through a selection of cool typography animations. Each of them is a great opportunity for you to learn some new techniques and discover amazing creative ideas. Some of them might dazzle you! 1. Morphing is one of the most used techniques to create motion typography. It is simple and eye-catching. Besides, it can help designers promote an important message or make a statement. 2. Flickering text, on the contrary, is not something you’ll find very often. One really needs to have a flair for picking words in order to use flickering as an animation technique. Not many words out there work as well with this technique, as “where” and “here” do. 3.Hypnotizing text will never go unnoticed. It’s meant to stand out and impress. And mesmerize. 4.Moving text, either it’s from right to left or up to down, is spectacular also, especially when the technique is paired with appropriate words. As you see in this example, this animation effect was used to emphasize the meaning of the words and surprise the viewer. 5. Drawing the text letter by letter is not something new, but it all depends on how you do it, what fonts you use and other complementary graphic elements. This example shows just how creative one can get with a simple message like “silence of a forest”. On the one hand, the artist used this foresty green, on the other, it made the word “forest” actually look like a pine forest! And not to mention the subtle little leaf falling on top of “i”! 6.Geometric constructions are the new sensation of animated typography. This type animation technique is modern and cool and it can help creatives promote a tech or urban brand like no other. 7.Fluid geometry is a new kind of typography animation technique and it’s splendid! It has an urban air and a fluid dynamism. This animation technique constructs the layers and texture of letters simultaneously for a truly artistic effect. 9. Complex morphing is another way to get attention to your message. I love how these symbols of London create the name of the city. You can even recognize each individual building! 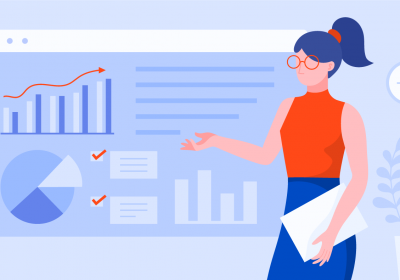 Graphic animations include the presence of graphics and illustrations. This is a more complex type of animated text but it is totally worth it. 11. The dynamic montage of text can tell a story, even when there are no images at all. Pause for a moment and take a look at the example below to understand how timing, pause and the abrupt apparition of text can create thrill and a storyline. 12. Neon flickering is used quite frequently in ads for pubs and bars. The effect is extremely easy to create and it guarantees your message will get noticed. 13. Dash typography is modern and simple and it can introduce a message in an elegant way. 14. Creative letters can take everyone by surprise. Just look at this flying bat W. The bat is totally a Halloween trademark, so the association between the two comes naturally. 15. Illustrated letters that form a word have been around for many years, but they’re still catchy and surprising. 16. The scrabble effect typography animation can help you create your message in a dynamic and surprising way. 17. Morphing geometric shapes can emphasize your story and create a unique atmosphere. 18. Creative animated letters in static words, that’s something no one expects. This combination of static and animated letters is really interesting because you can focus your message on one letter only. 19. Accelerated typography animation are used to create a dazzling visual effect and to convey a quick story. As we can see in this example, this animation talks about how many tequila shots someone drank. Makes you a bit dizzy. 20. Emotion-filled animated letters. This isn’t quite an animation effect, but rather a creative technique. This shaking “i” conveys so much emotion, we can almost empathize with it! Go to Create new and click the button. Then select the Single banner option. 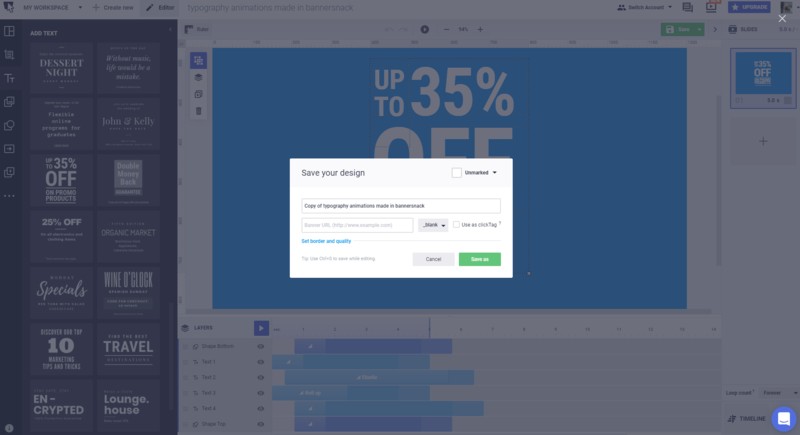 Choose a format and size, then select a background for your visual. 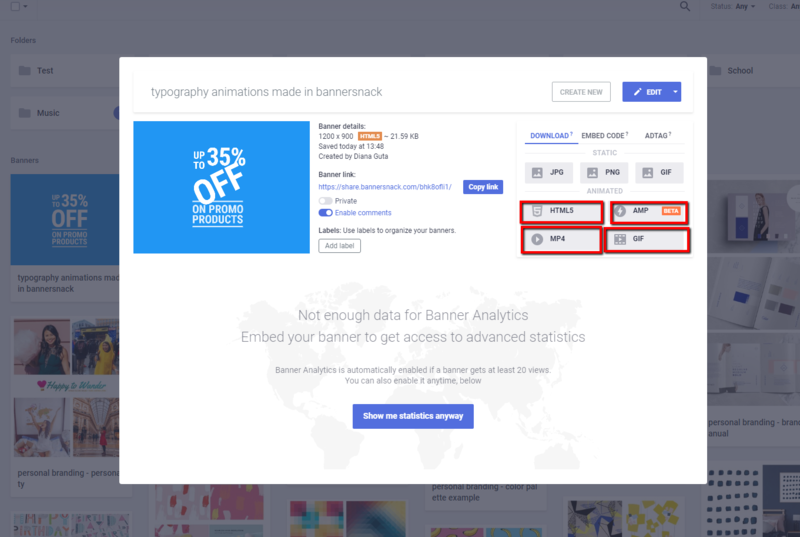 It can either be a color, texture, pattern or stock photo, already available in Bannersnack. Or you can upload a picture of your own. I’ll illustrate the process, using the blue background I choose for my visual. Then, add your text. Go to the menu on the left-hand side and click the Tt tab. Select one of the available text sizes available, or choose a predefined typography template and just replace the existing text with your own. Here is the typography preset I choose. It is standard static, but you can easily animate it. I’ll show you how. You can create a quick animated effect using our Magic Animator tool that’s on the menu bar, last on the list. 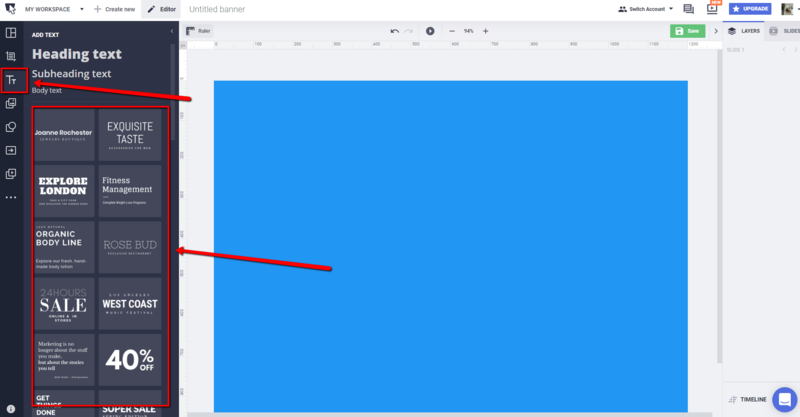 However, if you want to create a surprising and more eye-catching effect, you’ll have to customize each of your words using the Timeline view. Click the Timeline button, to enable the Timeline view so you can see all of your elements nicely layered and organized. Then, click on each tiny box at the beginning of each text layer and you’ll see a pop-up menu of the built-in animations available. Try each of them out to see which one works best with your text and then set the duration of the animation effect by simply dragging the right margins of the box to the right. Repeat this action for each of the words in your visual. Then, hit the Play button which is on top of the dashboard to check on your work. For a continuous animated effect, change the looping setting from “once” to “forever” or to as many times as you’d like the animation to play. Now that you’ve finished animating your text, click “Save as”, and name your file. 6. After your file has been saved, you can download it to your computer in any of the 4 animated file formats available: GIF, Mp4, HTML5 or AMP HTML. Make your words come to life with motion typography! 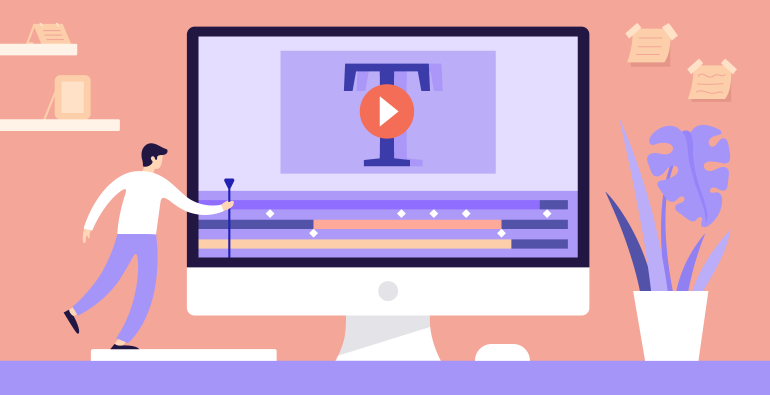 Now you know more about typography animations and hopefully, you feel more confident to start your animated typography project. 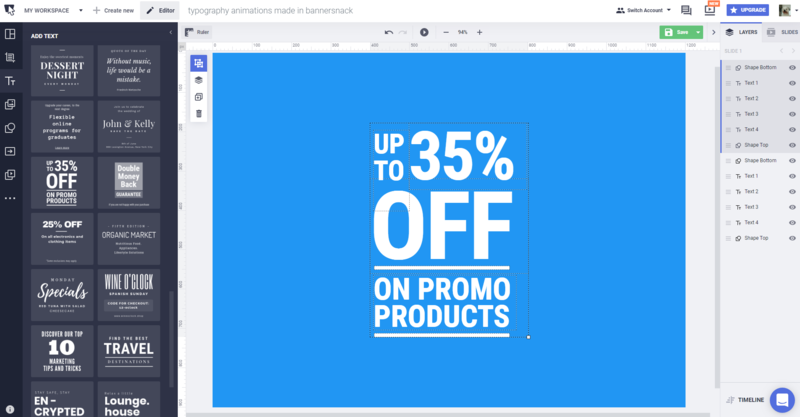 Whether you’re trying to create an advertising visual or a DIY promotional material for your blog, Bannersnack can help you to design impressively animated texts in minutes!